The automobile industry needs to be big and powerful, and it is inseparable from the perfect parts and components supporting system. At present, the automotive industry in Zhuzhou City has a rapid development momentum. However, it does not match the local parts and components supporting capacity is far from keeping up. 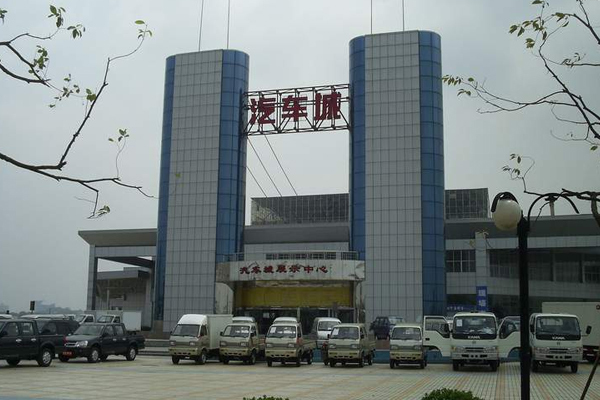 On August 15, 2013, Zhuzhou Automobile Industry Office learned that the local matching rate of auto parts in Zhuzhou is only 18%. It is like an engine with insufficient horsepower, which affects the speed of the entire industry. In the manufacture of automobile vehicles , Zhuzhou is making efforts to look forward to becoming an important development pole for the automobile industry in Hunan and even in the central and southern regions. At present, major auto projects such as BAIC Zhuzhou Base and Times Electric have settled down in Zhuzhou. According to the Zhuzhou automotive industry development plan, by 2015, Zhuzhou City will form more than 5 vehicle production enterprises with an annual production capacity of 670,000 vehicles. The arrival of large vehicle manufacturers will inevitably drive the rapid development of downstream auto parts manufacturers. However, the 164 auto parts production and processing companies in Zhuzhou City provide only 18% of the supporting services for local vehicle manufacturers. In other words, only a handful of automotive parts produced in Zhuzhou City are used in local vehicle manufacturers. In fact, Zhuzhou City has formed an industrial cluster of automobile parts such as car transmissions, commercial vehicle transmissions , car transfer cases, electric vehicle parts, spark plugs, and piston pins, among which electric vehicle transmission systems, automotive gears, spark plugs, and EPS are key. Parts and components occupy an important position in the national industry. However, some professionals pointed out that Zhuzhou's auto parts companies have poor complementarity between them and they have not formed a complete industrial chain. They lack key components such as engines and drive axles, affecting the overall supporting capacity of the industry, and the cluster dominant effect. Clamped. Recently, Beiqi Zhuzhou Branch and the city reached an agreement: The procurement of parts and components for vehicle production will be tilted to local parts production and processing companies in Zhuzhou, and strive to increase the local matching rate of auto parts to 40% after the second factory is completed and put into operation. the above. â€œIn addition to upgrading the local matching rate, in addition to upgrading the production capacity and product quality of existing enterprises, we plan to introduce a number of well-known auto parts production companies.â€ Gao Xiang, director of the cityâ€™s automobile industry office, introduced that in June of this year, Shanghai Jia Song Song Auto Air Conditioning Co., Ltd., Shanghai Yonghong Auto Parts Co., Ltd., and Shanghai Automotive Foam & Cotton Co., Ltd. have reached cooperation intentions with the city. The Auto Industry Office of the city will go to Shanghai to carry out thematic investment promotion of auto parts and parts. Then introduce more than 6 auto parts production companies. Gao Xiang stated that Zhuzhou City is brewing relevant policies to encourage the development of the automotive industry, supporting and encouraging the unified planning, simultaneous introduction, simultaneous research and development and simultaneous transformation of key auto parts manufacturers and vehicle manufacturers in the city to improve the industrial supporting environment and improve Local matching rate.